Alajuela is one of Costa Rica's most diverse provinces, with altitudes ranging from 300 feet to 8871 feet at the Poás Volcano. In relatively short distances, we can see drastic changes in flora and fauna, as well as splendid views of mountain ranges with lush and fertile plains. 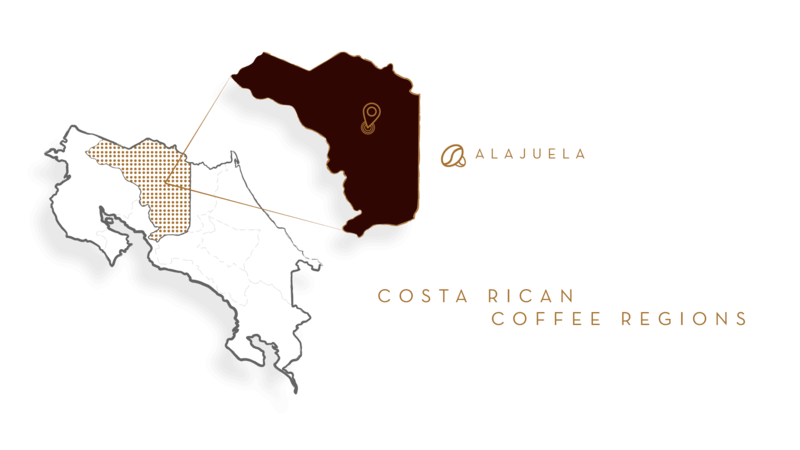 Coffee from the Western Valley is defined by its origin identity and its organoleptic characteristics: good acidity, body, and aroma. This medium roast is no exception, with flavor notes of apple and apricot.